Unfortunately, cancer isn’t simply a single disease, and some types, like pancreas, brain or liver tumours, are still difficult to treat with chemotherapy, radiation therapy or surgery, leading to low survival rates for patients. Thankfully, new therapies are emerging, like therapeutic hyperthermia, which heats tumours by firing nanoparticles into tumour cells. 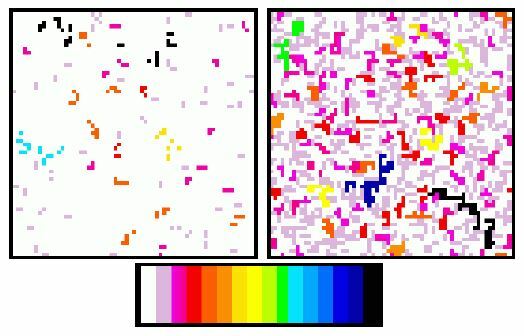 In a new study published in EPJ B, Angl Apostolova from the University of Architecture, Civil Engineering and Geodesy in Sofia, Bulgaria and colleagues show that tumour cells’ specific absorption rate of destructive heat depends on the diameter of the nanoparticles and the composition of the magnetic material used to deliver the heat to the tumour. Two-dimensional arrays of interacting magnetic nanostructures offer a remarkable playground for simulating, experimentally, lattice spin models. Initially designed to capture the low-energy physics of highly frustrated magnets, they quickly became a lab-on-chip platform to investigate cooperative magnetic phenomena often associated with classical frustrated magnetism. This Colloquium paper from Nicolas Rougemaille and Benjamin Canals at the Institut NEEL (Univ. Grenoble, CNRS, France) reviews the many-body physics which can be visualized, directly in real space, through the magnetic imaging of artificial arrays of magnetic nanostructures. Particular attention is paid to classical spin liquid states, magnetic Coulomb phases and magnetic moment fragmentation. Other phenomena, such as complex magnetic ordering, charge crystallization and monopole-like excitations, are also described in light of the recent advances in the field. EPJ B Highlight - Understanding stock market returns: which models fits best? Understanding stock market returns hinges on understanding their volatility. Two simple but competing models have been dominant for decades: the Heston model, introduced in 1993, and the multiplicative model, which dates back to 1990. American physicists recently compared the two models by applying them to the United States stock market and using historical data from two indexes: the S&P500 and Dow Jones Industrial Average. In a study published in EPJ B, Rostislav Serota and colleagues from the University of Cincinnati, OH, USA, demonstrate the clear differences between the two models. Simply put, the Heston model is better for predicting long-time accumulations of stock returns, while the multiplicative model is better suited to predicting daily or several-day returns. A chameleon can flexibly change its colour to match its surroundings. And a similar phenomenon can now be seen in a new class of smart materials called metamaterials. The trouble is that these metamaterials lack the ability to respond to nearby objects due to their physical characteristics. To remedy this shortcoming, Chinese physicists have developed so-called 'metashells': hollow shells made of metamaterials and capable of carrying materials in their core. The advantage is that their physical characteristics, such as permittivity - the extent to which a material can store charge within an electrical field - change with the electromagnetic properties of the material they contain. 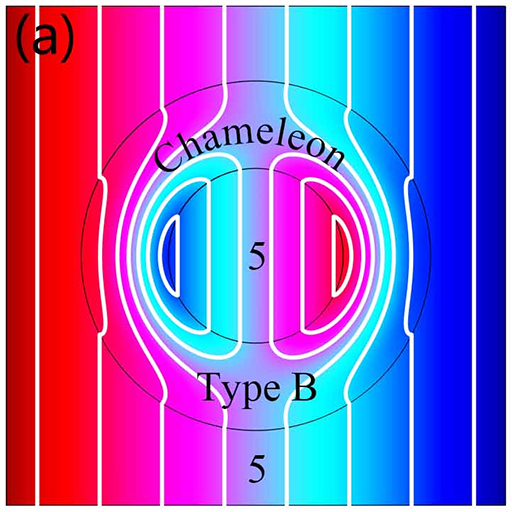 In a recent theoretical study published in EPJ B, Liujun Xu and Jiping Huang from Fudan University in Shanghai, China, describe how they have developed an entire class of these chameleon-like metashells. 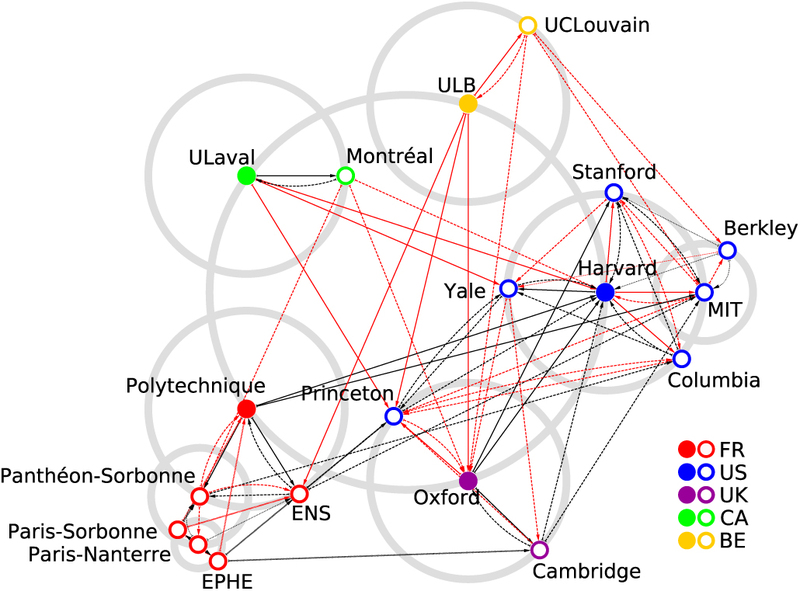 Network of friends of top 20 PageRank universities from the French Wikipedia edition. Scientists in France have developed a new way of generating a ranking of the world’s universities that places more emphasis on the cultural perspective. In a recent study published in EPJ B, Célestin Coquidé and José Lages, affiliated with the multidisciplinary research institute UTINAM in Besançon, and Dima Shepelyansky from the CNRS in Toulouse, France, perform an analysis of Wikipedia editions in 24 languages, collected in May 2017 - previous studies pursuing a similar approach focused on data from 2013. Employing well-known ranking algorithms, they establish a Wikipedia Ranking of World Universities based on the relative cultural views of each of the 24 language-specific Wikipedia editions. Thus, they provide a more balanced view that reflects the standpoints of different cultures. Total magnetic moments of triangular holes in graphene. Graphene, in its regular form, does not offer an alternative to silicon chips for applications in nanoelectronics. It is known for its energy band structure, which leaves no energy gap and no magnetic effects. 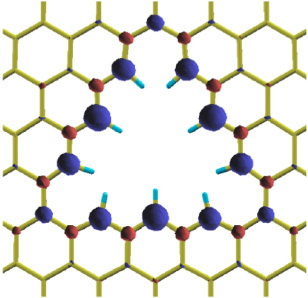 Graphene antidot lattices, however, are a new type of graphene device that contain a periodic array of holes - missing several atoms in the otherwise regular single layer of carbon atoms. This causes an energy band gap to open up around the baseline energy level of the material, effectively turning graphene into a semiconductor. 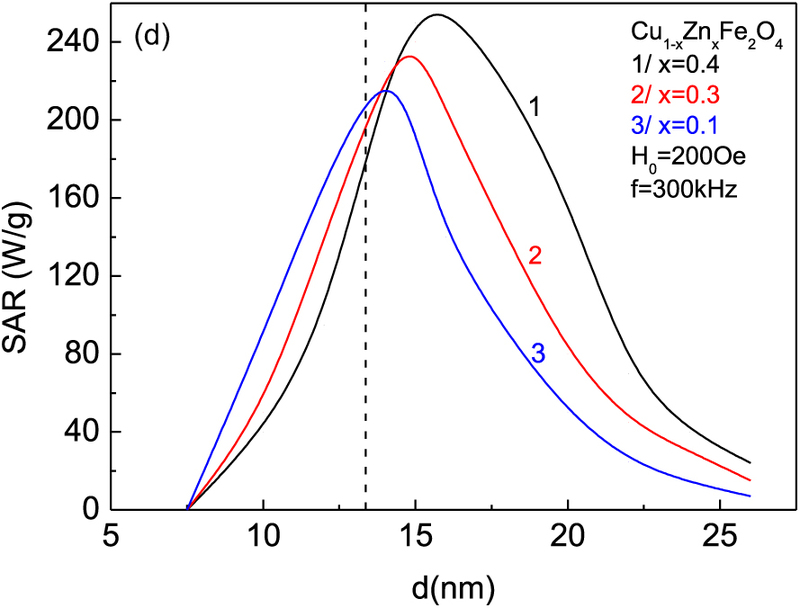 In a new study published in EPJ B, Iranian physicists investigate the effect of antidot size on the electronic structure and magnetic properties of triangular antidots in graphene. Zahra Talebi Esfahani from Payame Noor University in Tehran, Iran, and colleagues have confirmed the existence of a band gap opening in such antidot graphene lattices, which depends on the electron’s spin degree of freedom, and which could be exploited for applications like spin transistors. The authors perform simulations using holes that are shaped like right and equilateral triangles, to explore the effects of both the armchair-shaped and zigzag-shaped edges of graphene holes on the material’s characteristics. Extremes of temperature, rain, exposure to corrosive substances - all of these environmental factors contribute to the degradation of concrete. Specifically, a gas present in our environment, called hydrogen sulphide, turns into sulphuric acid, a corrosive substance, when combined with rainwater. In a new study published in EPJ B, Matthew Lasich from Mangosuthu University of Technology, Durban, South Africa, examines the adverse consequences of the adsorption of natural gas constituents found in our environment - and mixtures of several such gases -into one of the materials that make up concrete: cement hydrate. 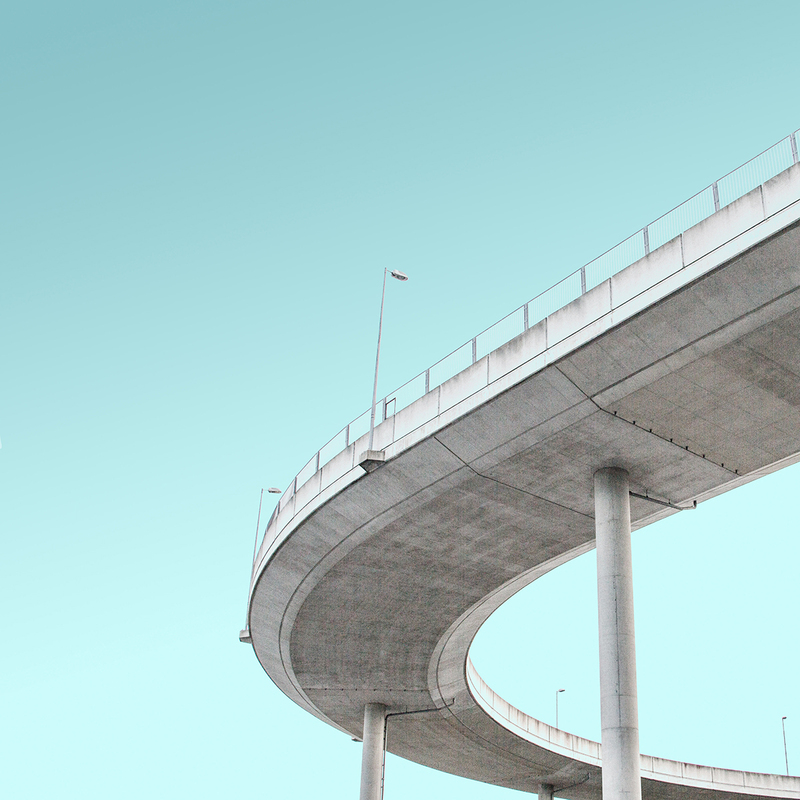 Lasich found that the preservation of concrete infrastructure from the corrosive effects would require a pre-treatment targeting the adsorption sites in cement hydrate, where the majority of hydrogen sulphide molecules become attached. However, this approach could prove difficult because of their wide distribution. 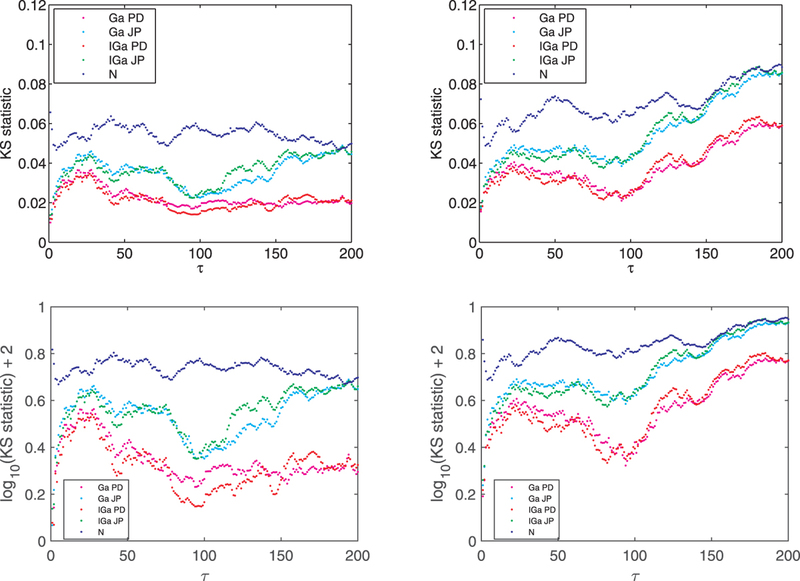 The strong disorder renormalization group (SDRG) approach has been developed to study the low-energy excitations and spatial and temporal correlations of random systems. Since 2005 it has been extended in many new directions and beyond its initial scope. In this EPJ B Colloquium Ferenc Iglói and Cécile Monthus give an overview of the many recent developments. 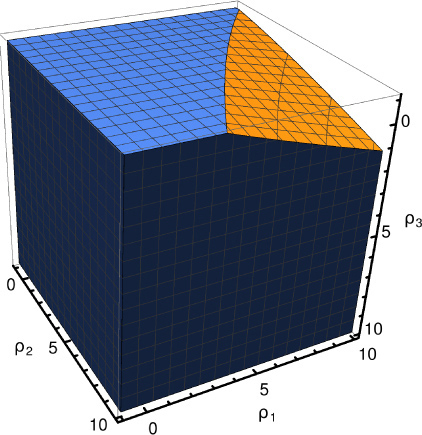 Stability regions calculated by a model for a given compressibility. Fluids exhibiting scaling behaviour can be found in diverse physical phenomena occurring both in the laboratory and in real-world conditions. For instance, they occur at the critical point when a liquid becomes a vapour, at the phase transition of superfluids, and at the phase separation of binary liquids whose components exhibit two different types of behaviour. Until now, models have not fully taken the effect of external turbulences into account. In a recent study published in EPJ B, Michal Hnatič from Šafárik University in Košice, Slovakia and colleagues investigate the influence of ambient turbulent speed fluctuations in physical systems when they reach a critical point. These fluctuations are found to be the result of a lack of spatial regularity in these systems, or anisotropy, and of the compressibility of fluids. What is unique about this study is that the turbulence introduced in the model is novel and helps to elucidate the extent to which the speed of these fluctuations affects their scaling behaviour. In this EPJ B Colloquium, Carlos Fiolhais offers a brief retrospective on the important scientific contributions of Hardy Gross during 25 productive years of his career, from 1976, when he published the first paper his doctoral years, until 2000, when he moved from Würzburg to Berlin. Fiolhais traces all of Gross’ publications and points out the most impressive scientific achievements, punctuating the physics with episodes from the life of Hardy Gross and other physicists in his circle, which adds extra colour to this piece. Contact EPJ Web of Conf. Working with the staff of the European Physical Journal Web of Conferences was a great experience for me. They are professional, helpful, and efficient, qualities that made it possible to have an excellent result and an impressively fast publication time.